During his reign, William I faced recurring threats to the security of his kingdom, the development defensive necessitating of an effective and comprehensive strategy. In coastal regions, there was the danger of enemy attack from Scandinavia, Ireland and, to a lesser extent, the continent. In border counties, the Normans had to deal with the hostile and at times blatantly aggressive activities of the Scottish and Welsh. In addition, there was the threat of internal opposition to the Conqueror’s rule in all regions of England, especiallyin the late 1060s when Norman authority had only recently been imposed and was thus at its leastsecure. The Anglo-Norman lordships createdin the wake of the Norman Conquest, and the authority wielded by those in control of them, having attracted the attention of Domesday scholars. Prior to the publication of Stenton’s study of The First Century of English Feudalism in 1932, the territorial blocks prevalent on the continent in the eleventh century were seento be a rare feature of Anglo-Norman England. 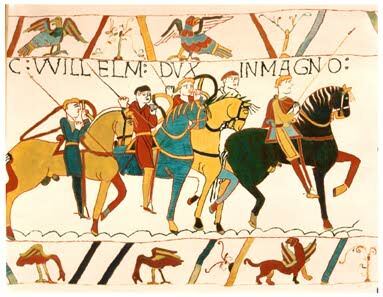 For some, the loose lordships establishedin England after 1066 allowed the Conqueror greater control over his barons, reducing their ability to act independently of the crown and hence enhancing the security of the kingdom. For others, loose lordships were a remnant of the Anglo-Saxon past rather than a deliberate post-Conquest creation, resulting from the piecemeal redistribution of land after the Conquest, often on an antecessorial basis. Although it was recognised that earldoms did undergo changes under the Conqueror, becoming increasingly focused on a single county, and that in some areas,most notably in Sussex, tenurial arrangements had distinctly military overtones, the general consensus was that settlement patterns in England represented a marked break from continental tradition.